Need an Emergency Dentist? This Page is Packed Full of Useful Information and Advice. Do you need a good emergency dentist in Maroubra? Our experienced team at Maroubra Dental Centre can help care for you in the case of a dental emergency or an acute dental problem: dental pain, toothache, broken, cracked or dislodged teeth and many other emergency dental problems. We also offer an after hours service: we understand that you can’t predict when you’re going to get that problem and it can occur at anytime of day or night, commonly when you least expect it. So, whatever your problem, if you need an emergency dentist in Maroubra, give us a call. The information on this page will provide you with resource and advice. It is important to note, that tooth pain and related dental problems can worsen, causing irreversible damage if they are not dealt with swiftly. Just because the pain has subsided or disappeared, doesn’t mean the issue has resolved itself. To avoid such complications it is important to see a dentist at the first available opportunity. What should you do if you have a problem right now? Again, please give us a call on 02 9133 4005 and one of our friendly staff on the front desk will be able to assist you and arrange an appointment. If you are outside of normal hours, please leave a message and they will return your call first thing in the morning. You can also contact Dr Jamie Workman on Facebook messenger by clicking here. We understand just how important talking to someone is, when you have a dental emergency. “I’m available to offer you advice and reassurance late into most evenings, if necessary. Your piece of mind is important to me”. But please read on, you will find lots of good advice dealing with various emergency situations throughout this article. If you have a problem during the day, please call us as soon as possible. We will see you, even if that means squeezing you in, staying late, or working through lunch. We need to ensure that your problem doesn’t worsen and if you are suffering pain and discomfort, it’s for the least amount of time possible. “ I’ll always schedule emergency appointments as quickly as possible: I will examine you, diagnose the problem, discuss the options for treatment and provide emergency relief or complete the treatment there and then – if, of course, it’s possible and our time permits”. Please don’t ignore your problem and simply hope it goes away. After a decade of experience, we know this only leads to one thing: a greater chance of more permanent damage and the need for both more extensive and expensive treatments. A simple filling can easily become a crown or worse a root canal and a crown or, if left too long, your tooth may not even be saveable – then we’d be talking about an extraction. The sooner you are treated the better, from every single angle. A dental emergency is simply something you can’t afford to ignore. Do you need an ‘emergency dentist’, or can you wait a short while, and then pop into the Practice? All dentists provide emergency dental care and treatment. Emergency dentists are simply dentists who provide their services outside of regular business hours and who have experience in the skills and services required in a dental emergency: operating, or being available outside normal working hours, including late evenings, nights and weekends (both Saturday and Sunday). They may also be on call. If you do have a severe issue and we’re unavailable, then finding a 24-hour dentist may be necessary. As you will discover though, most complications can actually wait till the next day and be managed fairly well. Good advice can make this difference – so, get in touch with us, or Dr Jamie on Face book, and we’ll do my best to reassure you regarding your best course of action. What should you do if you need a 24-hour dentist? First off, an important fact: some dentists offer call service 24 hours a day. They will charge you a call out fee for having to open up the practice and bring in a nurse – something to be aware of. Obviously, this becomes less of an issue, if you are really in pain. The emergency department of your local hospital will also be able to deal with most dental emergencies such as draining an abscess or providing additional pain relief. When you are in pain, a lot of patients choose to go to the doctor. Generally, painkillers and/or antibiotics (which may or may not be necessary) are given. Imagine having a problem with your hand and going to see the dentist: truthfully, they simply aren’t equipped to deal with dental problems in their offices so that is really all they can do. You’re much better off seeing a dentist and even if we are full, we’ll squeeze you in and provide some emergency relief, and… just like the doctor we’ll give you pain medication and antibiotics if they’re required. Which dental emergencies require immediate attention? Most cases that may be considered a dental emergency aren’t an ‘emergency’per se and can be dealt fairly simply at the practice with by us. Dental Trauma- if you have a tooth that is knocked out or dislodged or pushed into the gum, then immediate attention is required. Handled correctly a tooth that has been knocked out can be re-implanted successfully in many cases. Remain as calm as possible: It can be both painful and unsettling to have a tooth knocked-out but sadly this often happens. The following advice does work, though you need to act quickly. Find the tooth! Pick up the tooth by the crown only. Don’t touch the root- they’re full of very delicate cells that we need to keep alive. Rinse the tooth root to remove any visible dirt with milk or saline solution such as contact lens solution – just a few seconds- avoid water and scrubbing the root surface which would damage those vital cells. Gently press the tooth back into the socket till it is level with the other teeth. Make sure it is the right way round. It should look pretty normal though there may be some bleeding. Hold it in place if you can- get the patient to close their mouth; pressing onto a clean handkerchief, a bit of foil, or a mouthguard/ retainer if they have one to hand. Implanting the tooth straight away like this is the best thing you can do. Alternatively, if this is not possible – place it in the patient’s saliva or milk in a small container or wrap it in some cling film wrap to keep it moist. If stored dry the chance of the re-implanted tooth being successful is highly unlikely. Note. You should never try to put a baby tooth back in a child’s mouth: it may damage the developing adult tooth underneath or fuse to the bone in the healing process which can cause problems by it not exfoliating later. Generally, if the tooth was put back into its socket within 20 minutes of the accident, then there is a good chance that it can be successfully reattached. If a small part of the tooth is chipped then this can wait till the next day. However, if the tooth is fractured through the nerve exposing the blood vessels in the middle of the tooth, the quicker you are seen, the better the prognosis. If the patient happens to a child, by all means call me, but generally the child is very agitated and anxious and our ability to do effective treatment will be severely compromised- it can be hard at the best of times. If your child is less than 6 years of age, it might be necessary to go straight to either the Westmead Children’s Hospital, or the Children’s Hospital in Randwick. A Dental Abscess – abscesses can spring up and become surprisingly large in a matter of hours – this can quite worrying. This infection may start localised, but can spread if not dealt with and cause systemic upset i.e. you may feel unwell and get a fever. In rare circumstances if it swells under the angle of your jaw, it can affect your ability to breathe. If this occurs, please proceed immediately to accident and emergency. Emergency treatment is aimed at draining the build up of pressure created by the pus, and then taking antibiotics. The cause of the abscess will then need to be identified and dealt with- if it’s a tooth that’s causing the problem, then it will probably be from an infected nerve: it will require a root canal treatment, or a dental extraction. If the source of the abscess is the gum, then it will require deep periodontal cleaning under anaesthetic or again a possible extraction if the tooth is very loose, and there is little support and a poor prognosis. What other problems can be seen by an after hours dentist in Maroubra? It’s normal to feel a little bit of panic and anxiety with a dental emergency: you have something unknown going on, or you’re in pain. If you are in pain, the following combination of paracetamol and ibuprofen will prove effective in the vast majority of cases. You may want to start just by taking one of these painkillers, and only combine the two if the pain is not being relieved. Attempt to arrange an appointment, leave a voicemail or contact Dr Jamie) on messenger. 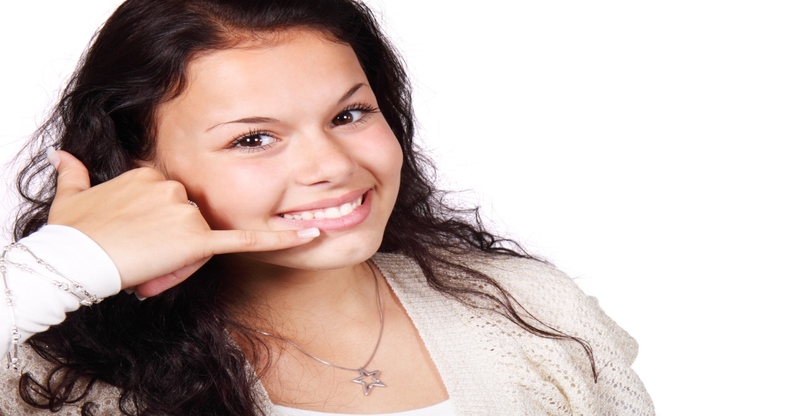 Merely arranging an appointment or speaking to someone will help alleviate a lot of the anxiety. We’ll do everything we can to see you that day. Repeat process from step 2 – as required* until you have seen me (Dr Jamie) or another emergency dentist. As I’ve have said many times, don’t delay it could affect the outcome – even if the pain appears to be subsiding. *Do not exceed the maximum doses as specified on the packet. Note for children: children’s Panadol is ideal. If the pain has come on suddenly: it’s sharp and throbbing or the pain is not subsiding, or if it’s radiating up towards your the ear, or waking/ disturbing your sleep – we recommend urgent treatment. These are all signs of nerve pain and it is only likely to get worse and more frequent. Any level of tooth pain, no matter if it’s mild or extreme is a sure sign that you need to make an appointment as soon as possible. The degree of tooth pain does not always correlate with the level of the problem or seriousness of what’s going on in your mouth. It is far better to see us as early as possible, rather than just wishing you had made that appointment! Dental and oral health problems can escalate quickly and honestly, once you have had a bad toothache, you wouldn’t wish it on anyone. These are a pretty common source of pain in individuals 17-25+. It can be something as simple as an ache, as the tooth is trying to push its way through the gum. Sometimes the gum overlying the wisdom tooth can get infected (see pericoronitits: Jamiethedentist) – this can lead to considerable pain, swelling, limited mouth opening and feeling unwell. Keeping this flap of skin clean, and preventing food from getting wedged under it can help. If this problem does occur, you are likely to require antibiotics. In the meantime, follow the pain protocol above and use warm salt rinses over the problem area as frequently as you can. Occasionally the tooth will settle, but repeated bouts of infection, may mean you’ll need the tooth extracted. If your gums are bleeding, then there’s inflammation in that area. Most often this is a sign that the hygiene is not up to scratch and requires improvement. You will need advice and a clean from us to get you back on track. In the meantime, try brushing a little more carefully and a little more thoroughly. Get some floss in there each night and do some warm salt rinses, or use an antibacterial mouthwash such as Savacol by Colgate for a few days (but please note: this is not a long term mouthwash). Firstly, attempt to remove the object gently and carefully with floss…sometimes this is easier said than done. Food that is left will cause an ache in the gum. Repeatedly, over time, a cavity will be created, so you should try to restore normal contact between your teeth as soon as possible, thus preventing these problems from continuing or worsening. A little interproximal brush can also be useful here. Twizzle it in gently – don’t force it and see if you can get this movement to dislodge the offending article. If you lose your crown or dental bridge, call us right away. You can try to put it back in with some denture fixative from the chemist but be careful – if it ‘s really loose there’s a risk you will swallow it! There’s a good chance we can stick it back in – so bring it with you to the emergency appointment. Never use super glue!! Ever… It will cause all sorts of problems. The treatment we will need to carry out will depend on what caused the crown or bridge to fail in the first place. It could be as simple as cementing it back in, or if the tooth has fractured underneath you may need an extraction. 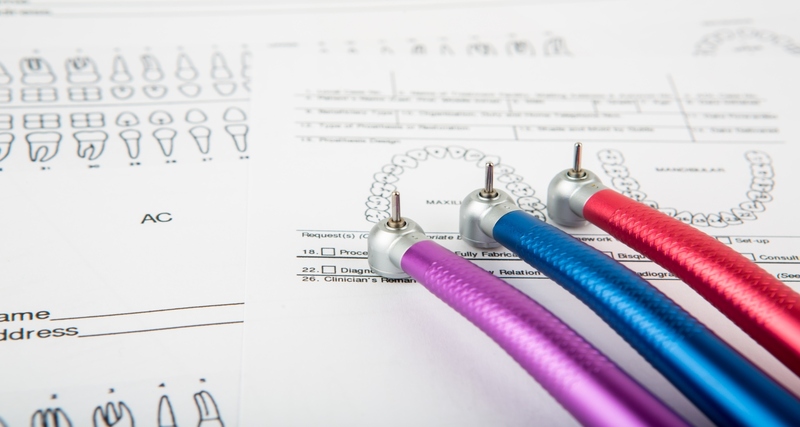 If a wire breaks or sticks out of a bracket or band, you can attempt to manoeuvre it back into a more comfortable position to prevent it poking into your gums, your cheek or your tongue. If that’s not possible get some orthodontic wax (available at the chemist) and cover the end or a bit of cotton roll until you can come in to see us, or, of course, the orthodontist who is looking after you. If any brackets or bands come off, just keep them, as your orthodontist may want to re-attach them. These can happen for a variety of reasons: biting into something hard is the most common – olives and popcorn are amongst the most frequent offenders. Save any pieces and make an appointment as soon as possible. Your tooth may simply need a filling or, if too much tooth has been lost, you may need a crown, or worst-case scenario: if the tooth has actually split all the way through, you may require an emergency extraction. These problems can often be very sensitive, as the dentine of the tooth becomes exposed – it’s directly connected to the nerve! Make an immediate appointment, to make sure the nerve is not further damaged. Avoid extremes of temperature (hot and cold) as this can set the tooth off. You can cover the tooth with a piece of sugar free chewing gum. Sometimes bits of tooth can be sharp on your cheek or tongue. Again, sticking a bit of chewing gum over it can help temporarily but be careful you could easily lacerate the tongue, and cause a nasty and painful ulcer. A softer diet can help, if you have pain on biting and find you are moving food to a favourable side of your mouth. After a tooth extraction or any dental surgical procedure such as grafting or dental implants, there are potential risks and complications that can occur. A common one, in the case of dental extractions, is a dry socket. This can be really painful and need dressing. Other infection symptoms include fever, redness, pain, swelling and sometimes even discharge: all signs you need to see me as soon as possible. Cleaning, antibiotics and treatment of the cause will be needed to prevent it worsening or spreading. If your child has a fall, a toothache, chips a tooth or any other dental problem, it’s really important to see us as soon as you can. As mentioned earlier, if a baby tooth is knocked-out, do not attempt to place it back into its socket. You can wash it in milk or saliva and store it in the same medium and bring it with to your emergency appointment. Regular check ups cannot be under estimated for your children, they develop trust and rapport so when treatment is required it can be often completed successfully and without issue instead of requiring referral to a specialist. Plus we catch things early and treat the problems whilst they’re small. Get regular 6 month check ups so that we can discover things early, and prevent as many problem issues from occurring as possible. We don’t charge extra for last minute, or emergency bookings. As you can see there are many different types of emergencies and so it can sometimes be hard to give you a quote without first examining you at an initial consultation. We have more information about our costs; health funds and payment options so click here for more information.